Georg Auernheimer. 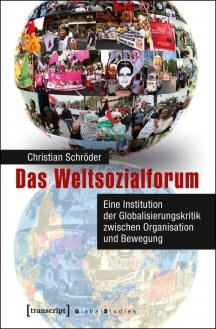 Rezension vom 03.06.2015 zu: Christian Schröder: Das Weltsozialforum. transcript (Bielefeld) 2015. 293 Seiten. ISBN 978-3-8376-2967-5. 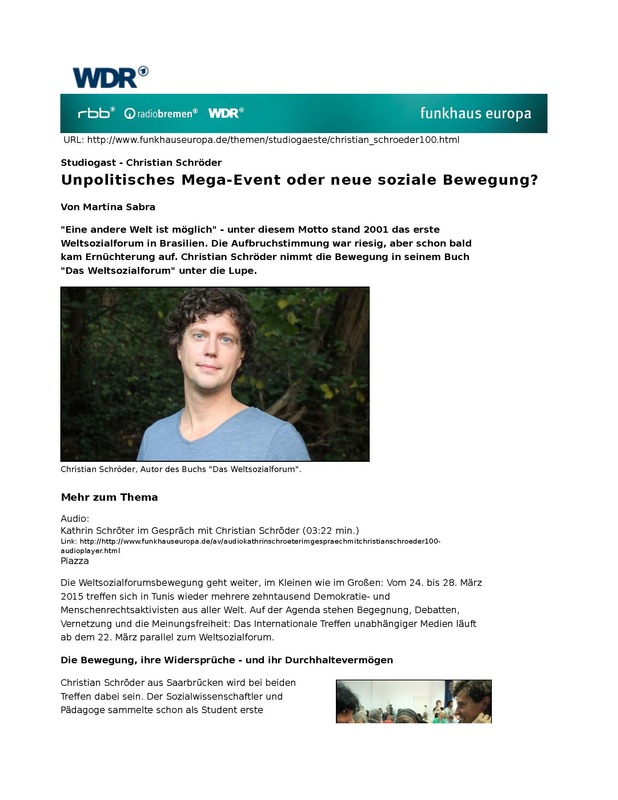 In: socialnet Rezensionen, ISSN 2190-9245, http://www.socialnet.de/rezensionen/18815.php, Datum des Zugriffs 11.08.2015. 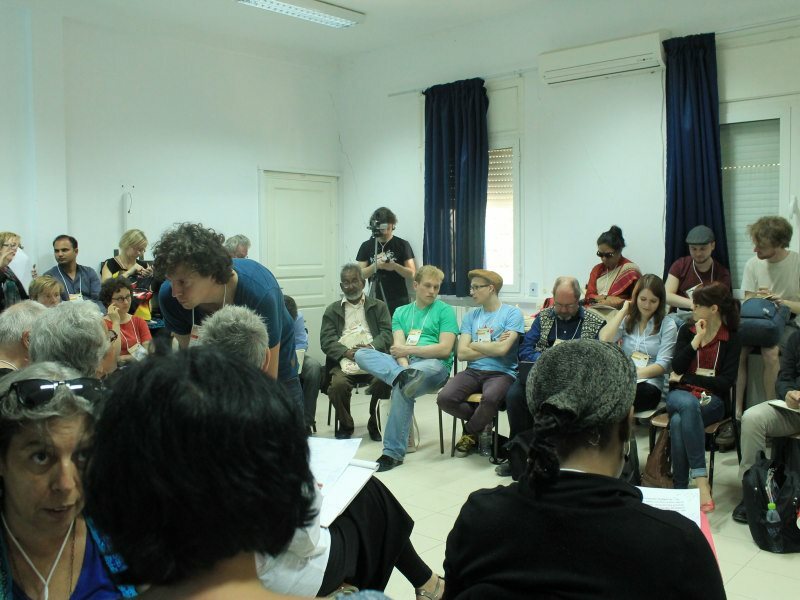 Weltsozialforum in Tunis. Offener Raum für Ideen. 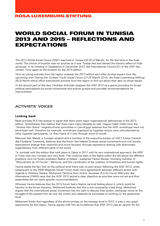 The World Social Forum (WSF) is the relic of the global justice movements of the turn of the millennium. Even after more than a decade after the first WSF in 2001 in Porto Alegre (Brazil) the events still use to mobilize thousands of activists against a neoliberal world order. 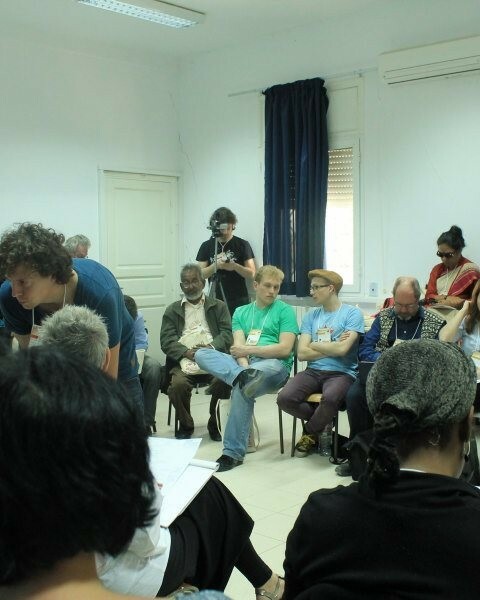 With an extensive ethnographic research, Christian Schröder keeps track of the WSF from its origin to the WSF 2013 in Tunisia. The focus is on the question of how the WSF – unlike many other movements – manages to persist for so long without losing its character as a movement. Based on extensive analyzes of comprehensive emperical material, the principle of Transpoiesis is elaborated to describe the survival of movements oscillating between breakup and institutionalization. Doktoral Thesis has been submitted! Thanks! With this term “Global Civil Society” I am literally adressing everyone. However “Civil Socoety” is usually defined by excluding profit-oriented activities and every organisation that belongs to the apparatus of government. Since economic and social interdependence between nation states is at its all-time high and still increasing, it becomes more important for civil society actors to gain influence in global politics. Transnational enterprises have built sucessfully coalitions and gained a great global impact. A recent study has shown that just 147 Multinationals control about 40% of the whole world economy. And from these, three-fourth are financial intermediaries (Vitali et al. 2011: 4). Although also global civil society actors have gained influence since the start of the global justice movement with the uprising of the Zapatistas or the protest against a meeting of the World Trade Organisation (WTO) in 1999 in Seattle. At the same time – in the 1990s – the number of NGOs who have a consultative status at the Economic and Social Council (ECOSOC) of the United Nations (UN) rose from 40 in 1948, when the UN was founded, to 3.382 in 2010 (ECOSOC 2010). Research about these global civil society actors have been undertaken mostly under the umbrella of “Global Governance” as well as in the transnational movement or NGO research programs. Global Governance is a mixture of governmental and non-governmental, private and public actors which try to influence each other. Of course these actors follow different interests, e.g. Multinationals follow the interest of making profits which NGOs do not, but they have some common ways to influence politics. The ways in which these private actors influence global politics can be summed up in (1) lobbying, (2) the setting of global norms and standards and (3) sharing their expertise on certain subjects (Reinicke 2003: 19). Protest movement usually follow a slightly different agenda by focusing more on addressing the world public to put global political actors under pressure. More differences between protest movements and NGOs can be found in their organisational structures. The heterarchial way of cooperating with each other makes it almost impossible for movements to develop lobbying strategy. This ‘lobbying’ requires an effective and efficient way of organizing. The organizational forms of NGOs involved in Lobbying are therefore often comparable to those of private business companies (Mintzberg und Westley 2000). Both protest movements and NGOs reveal misbehavior of Multinationals like the Killer Coke Campaign and call for boycotts (killercoke.org). Not least there exist manifold ways of interaction between Civil Society Actors and private enterprises. More and more unions plan for transnationally organized strikes (Tarrow 2003: 176). Civil Society Actors and Multinationals can also collaborate with each other (Klein and Siegmund, eds. 2010) or Civil Society Actors even try to influence enterprises as shareholders (Burgy 2013). My research interest therefore is to gain more knowledge about how global civil society actors (NGOs and protest movements) built coalitions to influence beyond their thematic focuses and beyond their nation states. On this webside I want share with you some of my research results and in the future I would like to discuss different topics with you out there. So if you are interested please do not hesitate to contact me! Burgy, Catherine (2013): NGOs als Kapitalmarktakteure. Shareholder Engagement als Möglichkeit zur Einflussnahme auf Corporate Social Responsibility. Wiesbaden: Springer Fachmedien Wiesbaden; Imprint: Springer VS (SpringerLink : Bücher). 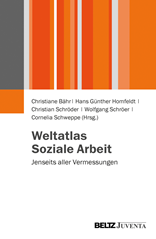 ECOSOC (2010), ‘Anzahl von NGOs weltweit bis 2010’ <http://de.statista.com/statistik/daten/studie/158268/umfrage/entwicklung-der-anzahl-von-ngos-weltweit-seit-1948/>, updated 3 Sep 2013, accessed 1 Oct 2013. Klein, Simone; Siegmund, Karin (Hg.) (2010): Partnerschaften von NGOs und Unternehmen. Chancen und Herausforderungen. 1. Aufl. Wiesbaden: VS, Verl. für Sozialwiss. Mintzberg, H.; Westley, F. (2000): Sustaining the Institutional Environment. In: Organization Studies 21 (1), S. 71–94. Reinicke, Wolfgang H. (2003): Unternehmen und Zivilgesellschaft in der globalen Politik – Neue Rollen und Verantwortlichkeiten. 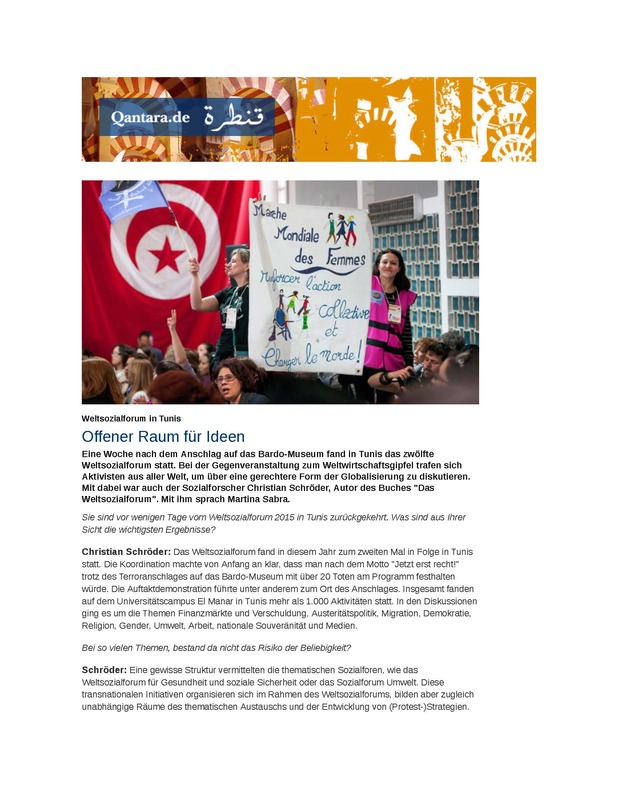 In: Herbert-Quandt-Stiftung (Hg. ): Jenseits des Staates? Außenpolitik durch Unternehmen und NGOs. Bad Homburg (Sinclair Haus Gespräche, 21), S. 17–24. Tarrow, Sidney (2003): Power in movement. 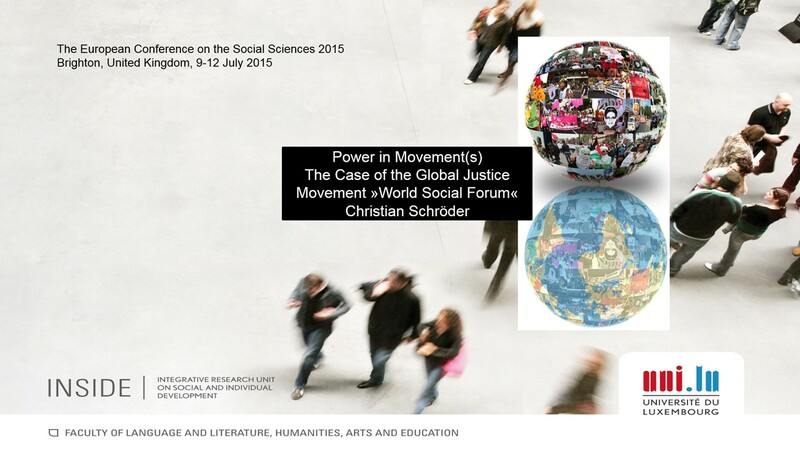 Social movements and contentious politics. 2. Aufl. Cambridge: Cambridge University Press. Vitali, S., Glattfelder, J. B., and Battiston, S. (2011), ‘The Network of Global Corporate Control’, PLoS ONE, 6/10. 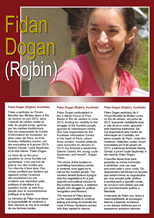 Interview with Sul21 (online magazin in Porto Alegre, Brazil), January 2014. Alternative ways of organizing – towards a new world order or conformity?